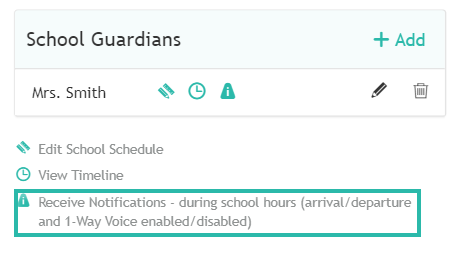 Some schools request that the voice features are disabled during school hours. 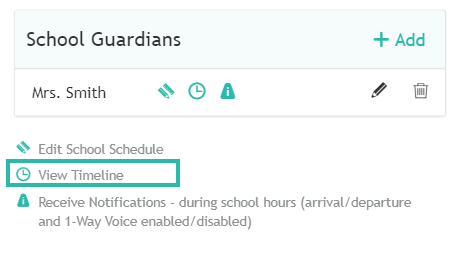 To achieve that the Primary Guardian should add one or more School Guardians. The School Guardian will then be able to login to the app using their own credentials and gain access to the School Dashboard. Is 1-Way Voice (Listen-In) Legal? 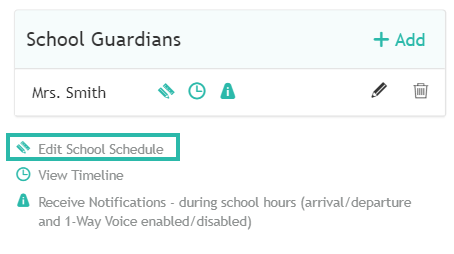 The School Dashboard gives the School Guardian(s) the option to update the School Schedule* via the AngelSense app, and optionally also access to the child's Timeline during school hours. There is no limit to the number of School Guardians that can be assigned. Can other people call my child?